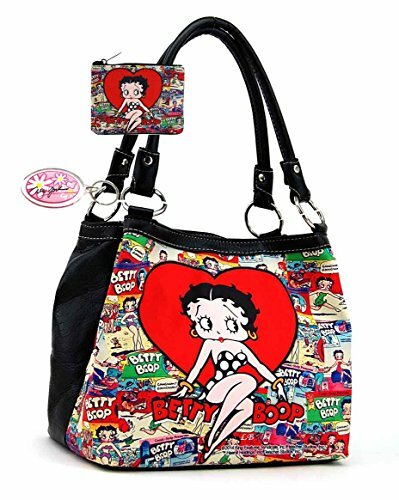 The Betty Boop purse is made with faux leather. Around top zip closure from both sides. Two inside zip pockets and two open pockets for phone and etc. Officially licensed. 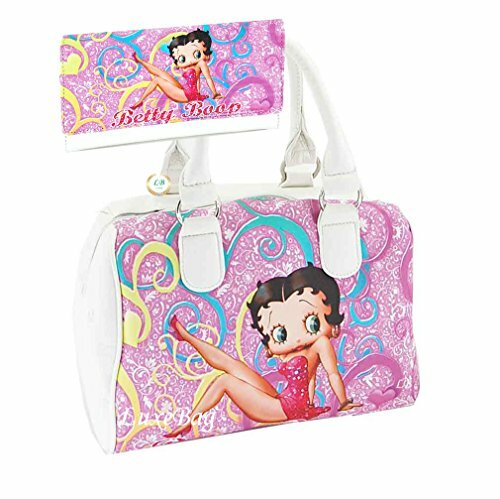 The size is 11.5(L) x 9(H) x 4(W) inches (drop length 6 inches, NO long strap included). 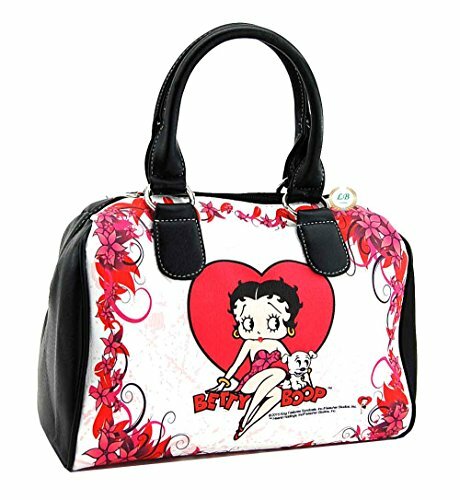 The Betty Boop bag is made with leather-like material. Top zip closure. An inside zip pocket and two open pockets for phone and etc. Officially licensed. The size is 11(L) x 8(H) x 6.5(W) inches (drop length 6 inches, a long strap included). 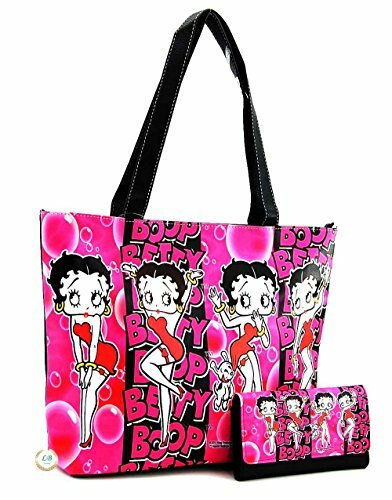 The tote bag featuring Betty Boop designs, perfect for toting all you need, These tote bags ensure your "stuff" will look as good as you do. 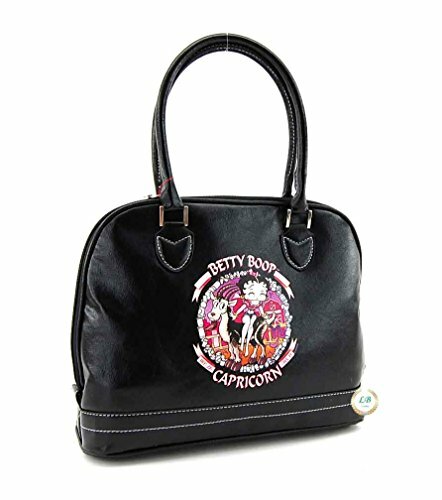 The Betty Boop medium tote bag is made with soft leather-like material. Top zip closure. An inside zip pocket and two open pockets for phone and etc. Officially licensed. The size is 11(L) x 6(W) x 10(H) inches (two straps 18 inches each, drop length 8 inches). 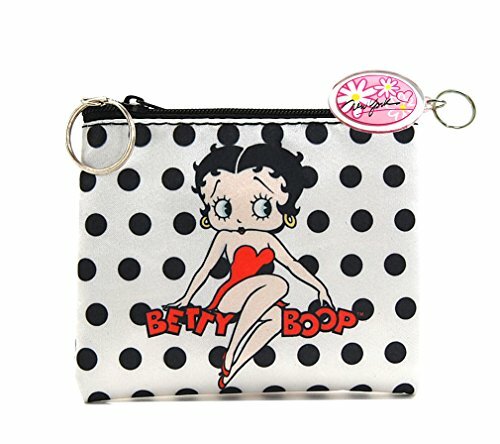 The Betty Boop coin purse is made of faux leather with top zip closure. Officially licensed. The size is 4(L) x 3(H) inches. 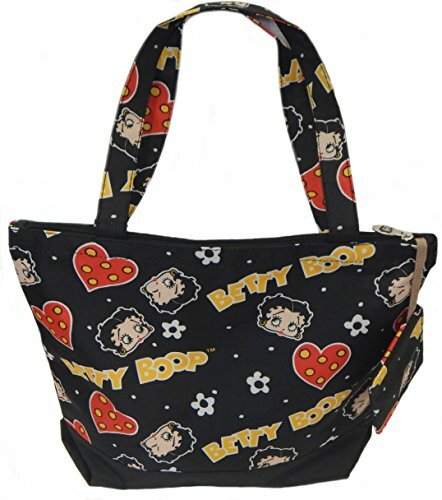 The Betty Boop tote bag is made with faux leather. Top zip closure. An inside zip pocket and two open pockets for phone and etc. The backside zip pocket. Officially licensed. The size is 16(L) x 12(H) x 5(W) inches (two straps, drop length 11 inches). 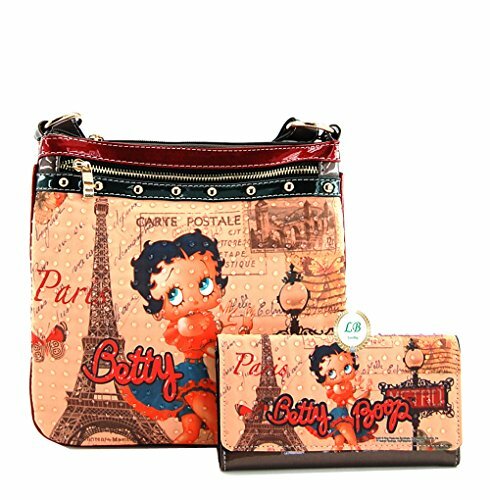 I love Lucy coin purse is made of soft fabric with top zip closure. Officially licensed. The size is 4.4(L) x 3.8(H) inches. Racist Betty Boop Cartoon! "Making Stars"